In San Diego you can expect contemporary modern accommodations in the Gaslamp Quarter or resort type luxury out along the Bay. No matter where you stay, hotels in San Diego offer excellent amenities and service is always with a smile. While you wouldn't need a car staying in the Gaslamp Quarter, we do recommend having one if you choose to stay along the San Diego Bay or in Mission Valley. The Handlery Hotel San Diego is located in Mission Valley and is just a couple of minutes from some of San Diego’s top attractions including SeaWorld and the San Diego Zoo.Each room comes with a refrigerator, TV, ergonomic desk chairs, iron and ironing boards, hair-dryer, wireless internet access & coffee / tea brewer. 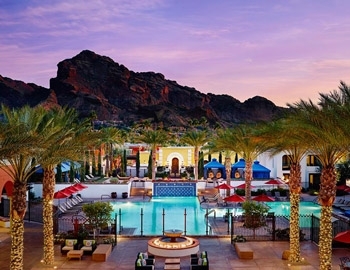 There is also an award winning restaurant on-site the Postcards American Bistro and seasonally, the hotel offers a poolside bar and grill as well as dive-in movies in the evening. Tour America guests receive free breakfast for the first two guests. 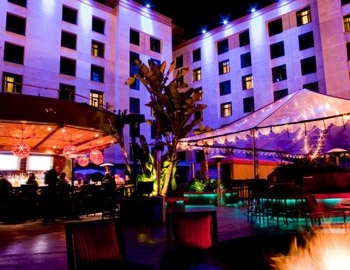 Located in the Gaslamp Quarter of San Diego, the boutique Hotel Solomar offers clients a luxurious hotel option. Premier dining and entertainment venues are located all around this property. Each room has an MP3 docking station, in room safe, pillow-top mattresses, luxury bed sheets, complimentary wireless Internet, flat screen TVs, complimentary toiletries and a rainfall shower.In the hotel there is also a rooftop pool bar with shore pool which is heated year-round. Located in the heart of the Gaslamp Quarter, this 4 diamond luxury hotel offers contemporary accommodations and impeccable service. 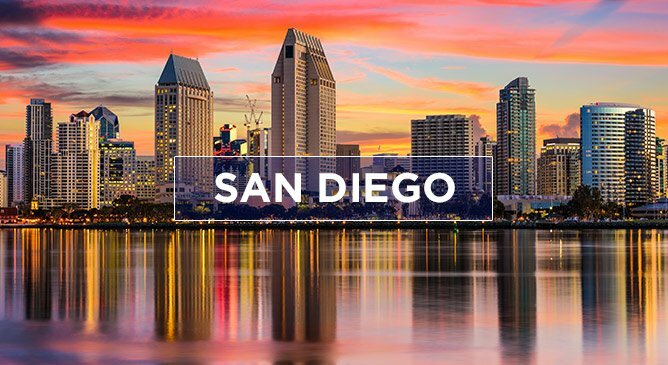 Take in the fabulous views of San Diego Bay, the Downtown skyline or the Petco Ballpark from the comfort of your own room. 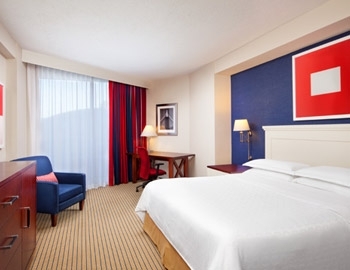 Each of the 511 rooms come with premium bedding, complimentary weekday newspaper, TV and mini-bar. There is also an outdoor pool, spa and a 24 hour fitness centre. The Sheraton San Diego Hotel and Marina is located on the San Diego Bay and offers beautiful views of the Californian Coastline. 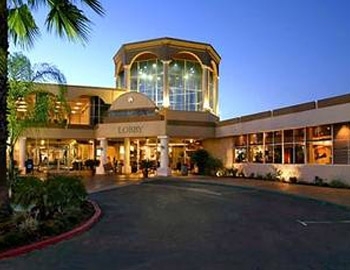 The hotel is a short spin from the Gaslamp District, Seaport Village and the San Diego Zoo. It is the perfect place to stay for those who want a more laid back San Diego experience. The guest-rooms are nautically themed and all feature individual climate control, high speed internet (fee), Mini-bar, TV, Sweet Sleeper Beds, 200 thread count sheets, 5 goose down/feather pillows and kitchenettes in selected rooms. Outside of the guest-rooms you can find an outdoor seasonal pool, kids pool, Health Club & Sauna, outdoor tennis courts (3) and a full service Spa. Thanks for your enquiry. Please complete all the required fields above.